Caption: Famously smelly durian fruit, for sale at a night market in Singapore. Comments: Famously smelly durian fruit, for sale at a night market in Singapore. 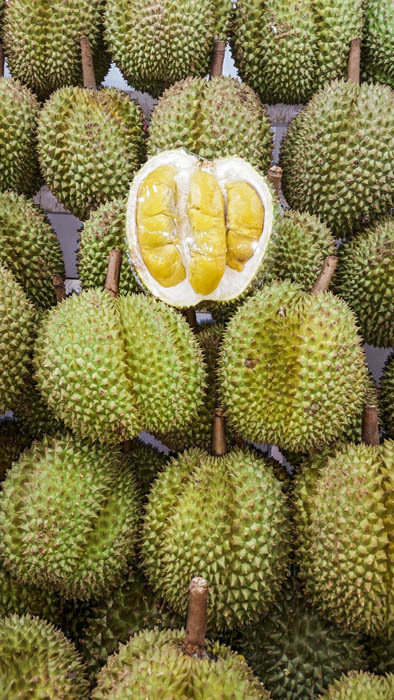 The sickly sweet smell from this fruit is so intense, it is banned from some public transportation and hotels in tropical Asia.